The Nvidia GeForce 8200M G is a DirectX 10 capable onboard (sharedMemory) graphic card (mGPU = Motherboard GPU)for small and light laptops and is based on the core of the 9200M GS/9300M GS. Like with the 9200M GS, 8 so called stream processors make the graphic tasks (which earlier has been done by pixel- and vertext shaders). The advantage is, that theoretically no idle time of the ALUs exists. 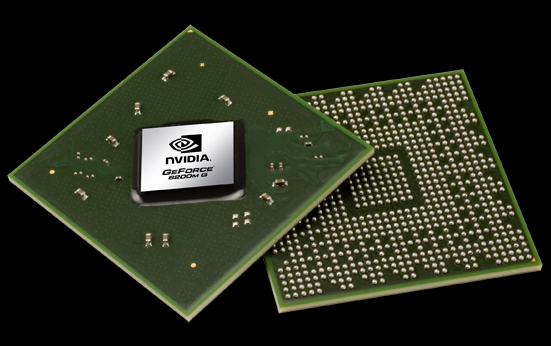 The NVIDIA stream processors are 1-dimensional (1D) and accomplish one skalar operation per clock with one MADD- (additiona and multiplication) and one MUL-operation (multiplication). Further, NVIDIA clocks the shader-ALUs somewhat higher than the rest of the chip. The performance of the 8200M G is quite good for a chipset graphic. The driver support of the graphic core is sufficient for games. However, the performance of the chip is hardly sufficient for very modest games with low details. More important is the option of decoding HD videos (though with VP2 instead of VP3 and therefore worse than 9100M G) and therefore eases the CPU.